Food and drink is one of the most important aspects of your special day and often a given topic of conversation at a successful celebration. 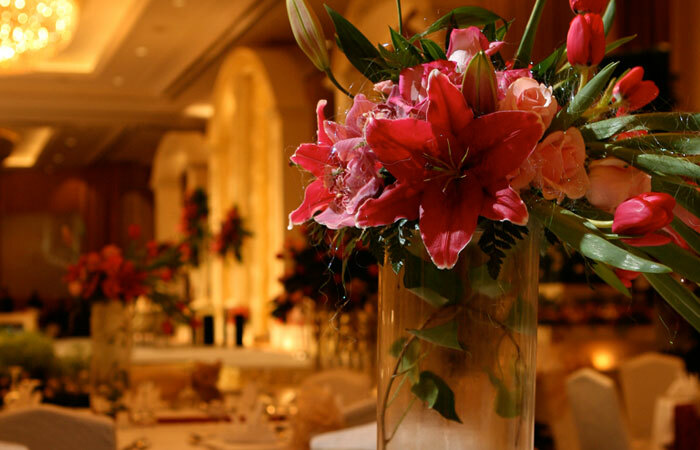 With a reputation for exceptional fine dining, Grand Aquila will elevate your wedding celebrations with our creative and elegant cuisine. As you make arrangements with your Grand Aquila Wedding Specialist, tailor-make your wedding menu will be a key part of the process. We are delighted to cater to different cultures and religions. Choose from our selection of sample menus, or let them inspire your imagination. We will be pleased to orchestrate specially-composed details to make your dream come true.